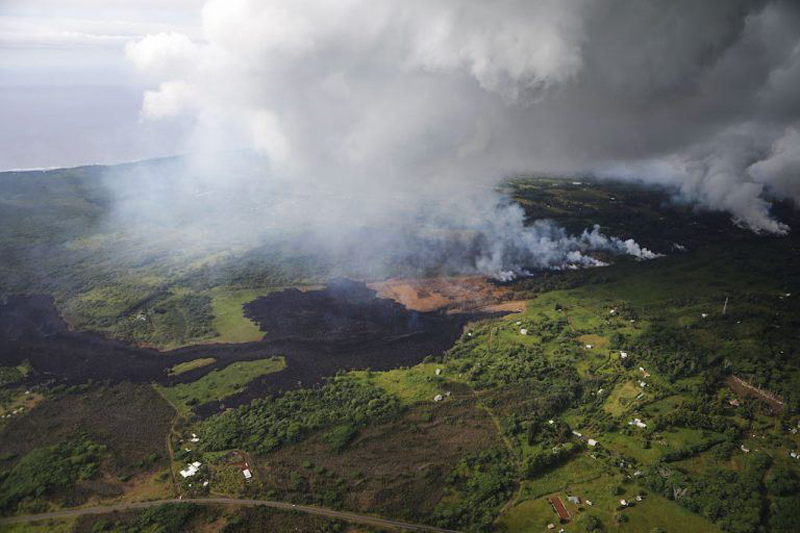 On May 3, 2018, the Kilauea volcano erupted, and it has since caused one nightmare after another for residents on the southeastern part of Hawaii’s Big Island. 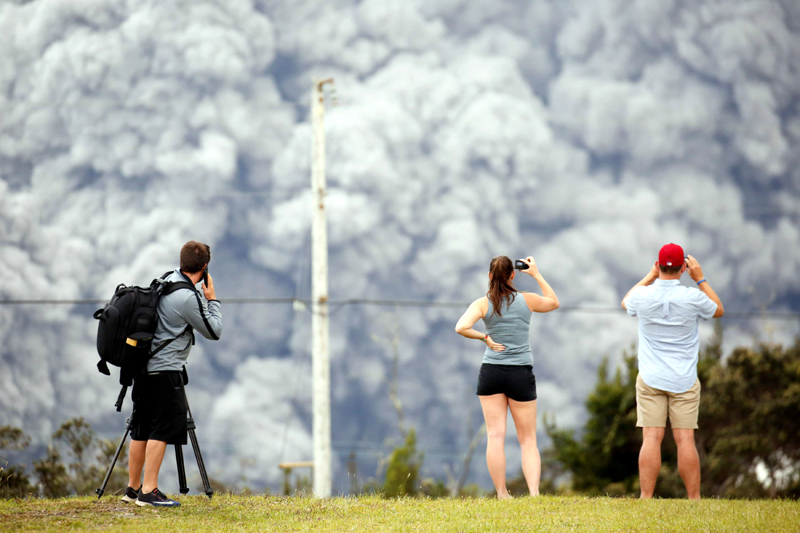 Besides dealing with the ash, which is not poisonous, residents have to worry about choking on sulfur dioxide that is coming out of 21 ground fissures the volcano has caused. Keep reading to find out how Big Island folks are dealing with the natural disaster. 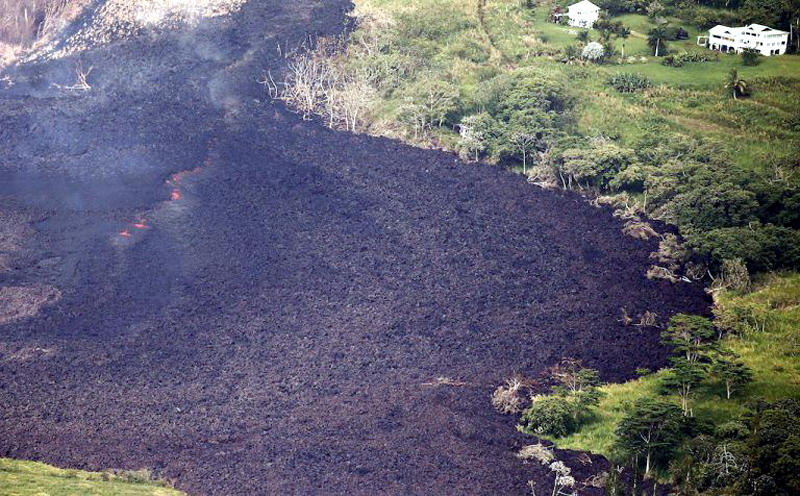 Kilauea could still cause a lot of damage. According to CNN, the residents of Leilani Estates on Hawaii’s Big Island haven’t seen the last of the volcanic eruption’s destruction. 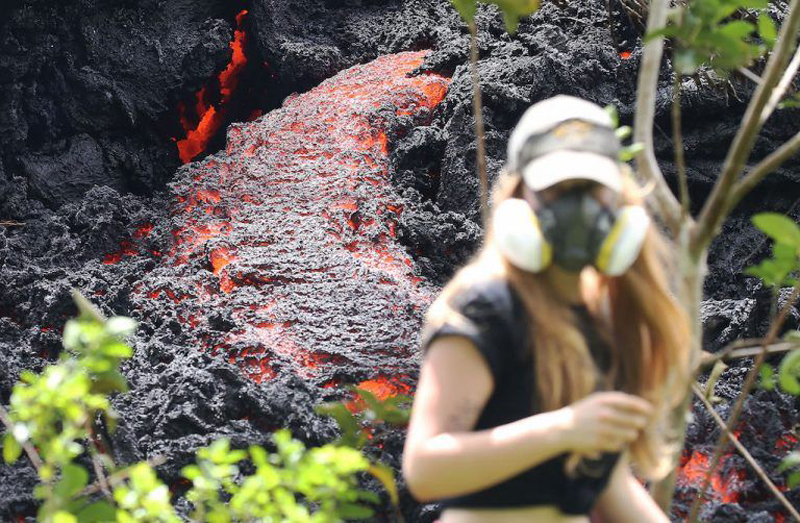 Lava and hazardous fumes continued to spew for days after the Kilauea volcano erupted, and authorities are asking tourists and sightseers to stay away from the Estates, where lava and fumes are rushing out of huge cracks in the earth. A lava flow from the Kilauea volcano cools near homes in the vicinity of fissure 17, on Hawaii’s Big Island, on May 16, 2018 in Pahoa, Hawaii. The Hawaii Civil Defense reported that 35 structures, including at least 26 homes, have been destroyed and more than a dozen fissures have formed so far. 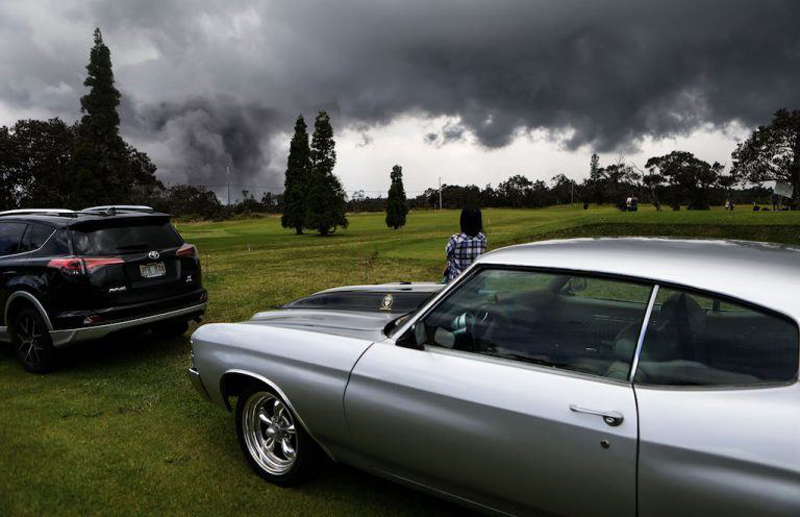 But typically earthquakes occur after volcanic eruptions, and all 1,700 residents of Leilani Estates, as well as nearby Lanipuna Gardens, were ordered to evacuate. So far, a 6.9 magnitude earthquake happened and there many other smaller quakes on the Big Island. Residents could quickly retrieve items from their homes. Some Leilani Estates residents were able to return home after they evacuated, according to CNN. If they needed to retrieve pets, medicine, or vital documents, they could get in to secure them. That said, even a quick visit back to their homes was dangerous for residents. 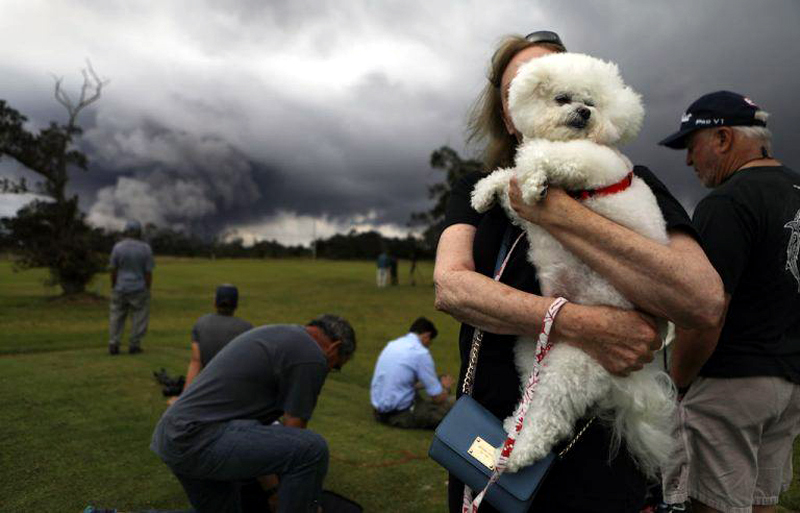 This resident had an emergency plan for her and her dogs. This family lost their house to the lava flows. Amber Makuakane, an elementary school teacher, evacuated her Leilani Estates home with her two children, ages 7 and 4, according to CNN. Makuakane wasn’t sure when she would be returning. This man lost the house that he built. 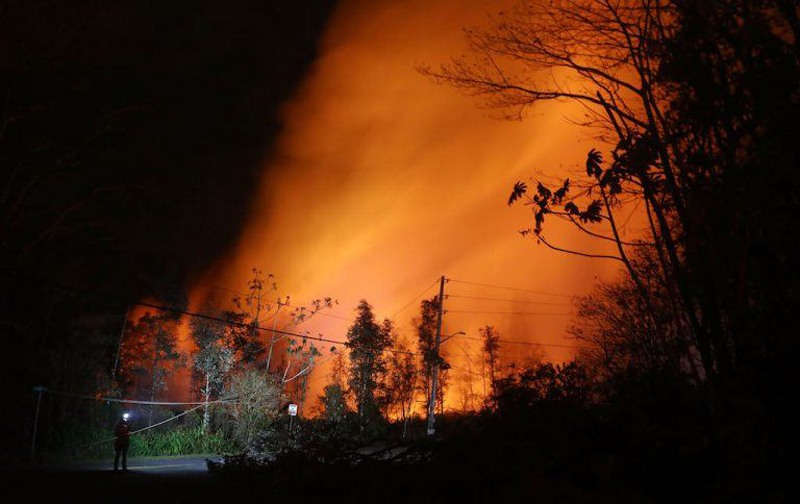 Steve Gebbie stayed home when evacuations were first ordered, but once he saw the lava in the streets near his Leilani Estates home, he knew he had to get out, according to CNN. Gebbie built his house on his own and was planning to retire there, and he had no idea what would happen to his home. Many residents left with just the clothes on their back. Lanipuna Gardens resident Corey Hale wishes she had been able to get more things from her home in Lanipuna Gardens before she evacuated, according to CNN. In particular, she wishes she had been able to grab a compass that belonged to her great-grandfather. 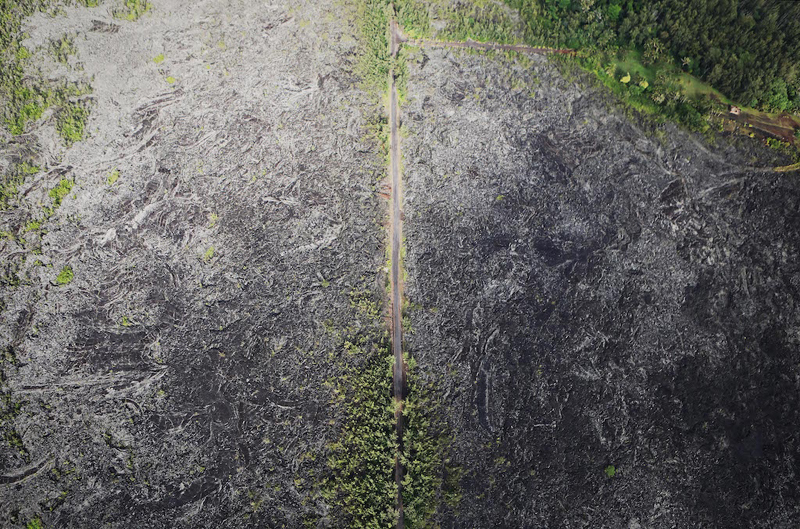 Aerial view of a road passing through a lava field. According to CNN, people might — or might not — be covered by their insurance for the damage to their homes. It depends on the actual homeowner’s insurance policy — and how the home was damaged. Volcano insurance or lava flow insurance doesn’t exist, said Jerry Bump, chief deputy insurance commissioner at the Hawaii Department of Commerce and Consumer Affairs. And the reason it doesn’t exist is that volcano eruptions are so infrequent. 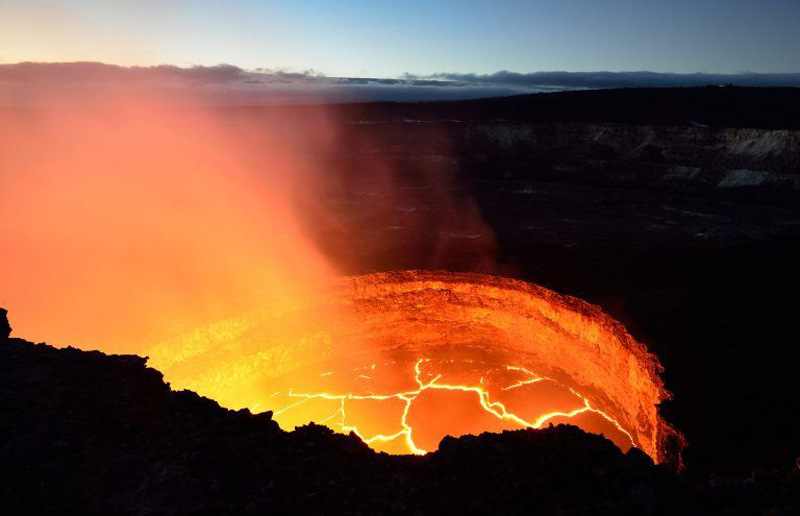 If the homes were damaged by lava that caused a fire, they might be covered under a fire peril in a general homeowner’s policy, which most people there have. That said, each carrier’s policy is different and could be worded with specific exclusions. Even if the policy covers fire damage, however, it won’t cover any damage from earthquake damage. And most people in the area don’t have earthquake insurance.